Obituary of Ven. 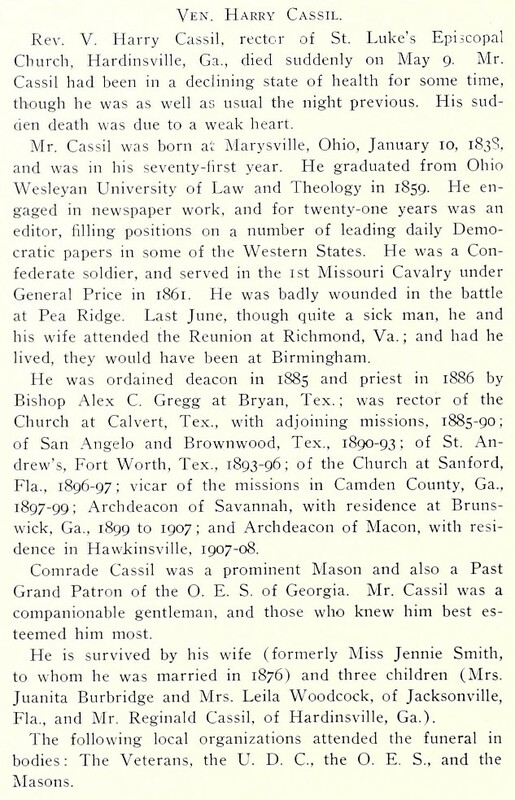 Harry Cassil, Hardinsville, Georgia. SOURCE: Confederate Veteran Magazine, July, 1908.